Cremation Services provided by Memorial Funeral Homes Inc. Question #1 How much does it cost? The cost of a cremation has several components, some dictated by state law, and others by how a funeral home chooses to provide their services. As a result, comparing cremation prices can be somewhat confusing. We pride ourselves on a family first philosophy, helping you as if we were helping our own family. The prices you are quoted are complete and accurate, we will provide documentation on everything we discuss, and you will not pay for items you did not request. Question #2 Will I get to say goodbye one last time? Saying goodbye is never easy but not having the chance to say goodbye may be even harder. Whenever possible your family will be given the opportunity to say farewell in a private setting at the funeral home or at the crematory chapel. Question #3 Where should I have the ceremony? Over 80% of cremations in the area include some form of funeral ceremony or memorial service. Whether religious or non-religious, a gathering of some form always plays an important role in the grief and healing process. 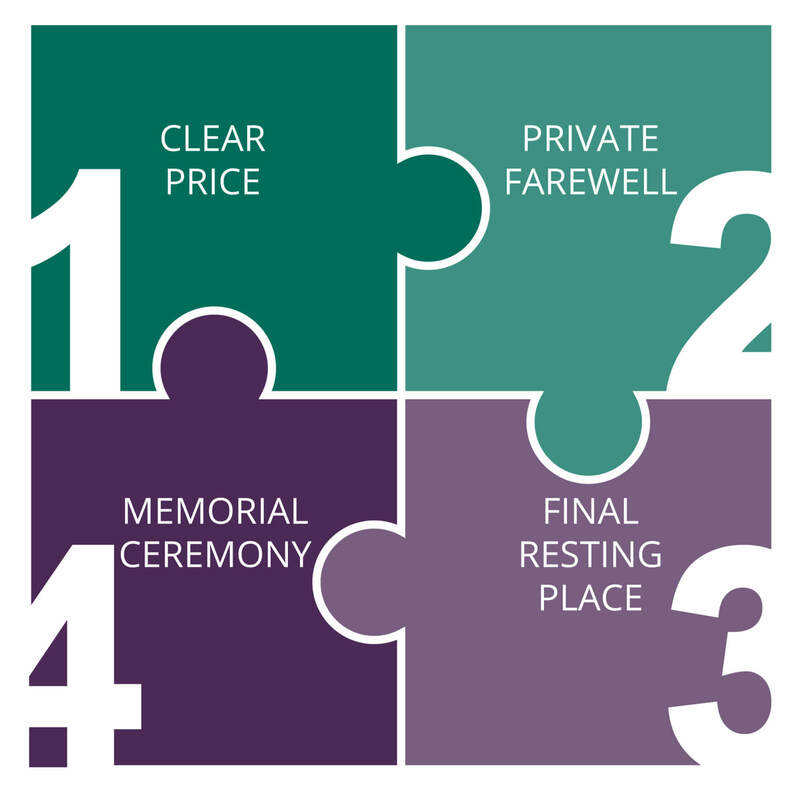 At Memorial Funeral Home & Cremation Service, we have three locations with flexible spaces for nearly any kind of service. We also have the staff and equipment to accommodate any request. On the day of the ceremony your Memorial Funeral Homes team will handle all the details while you experience the love and support of family, friends, and community. All too often a family member receives the cremated remains and are left wondering... now what? Do you scatter the ashes someplace? Do you place them in an urn? What do you do with the urn? Even if a fireplace mantel at home is the short-term decision, we always advise families to plan for a more permanent destination for the remains. If they do not, they are leaving a problem for future generations to solve. We help your family decide upon a suitable final resting place for your loved one. We will discuss options such as burial or a niche at a local cemetery, scattering at sea and backyard garden urns.